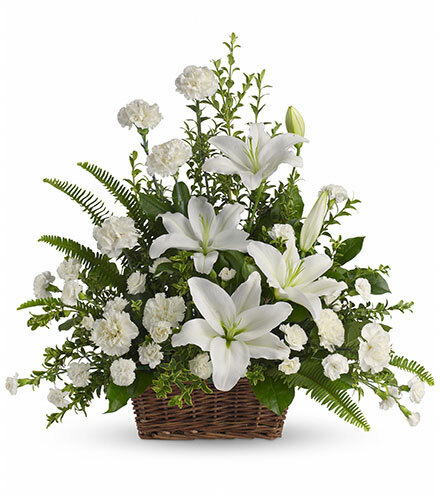 Send a beautiful expression of your love and support with a lavender and white sympathy floor basket. 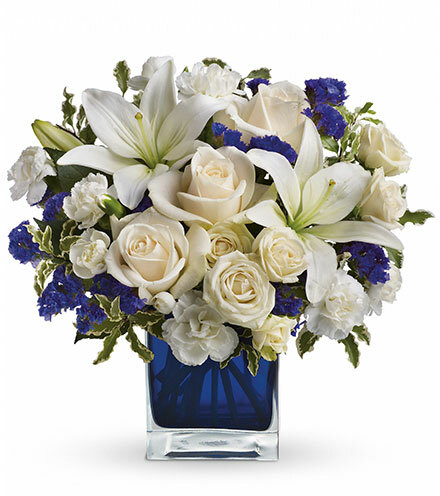 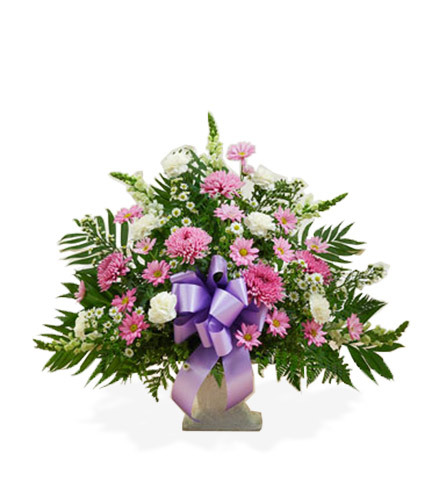 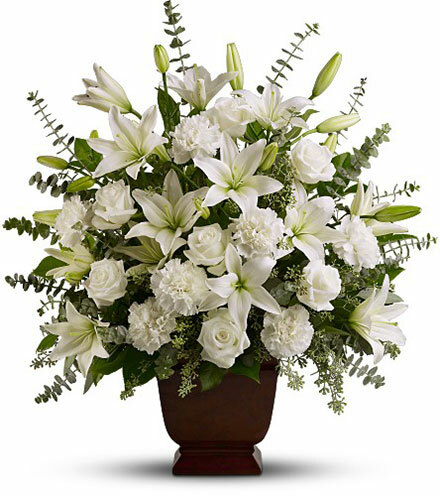 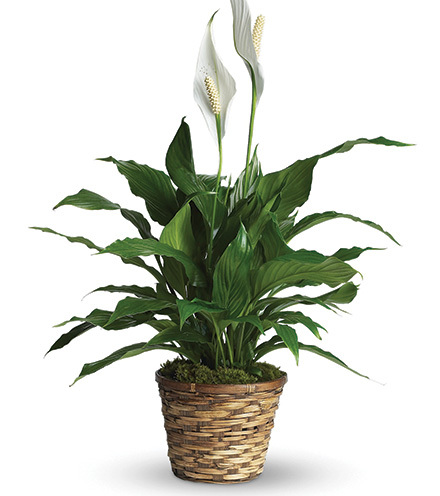 Your thoughtful funeral flower delivery will bring comfort during this difficult time. 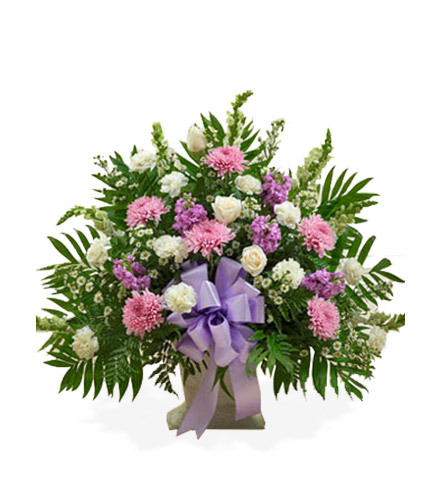 This arrangement features the freshest white roses, snapdragons, carnations, lavender mums, lavender stock and more. 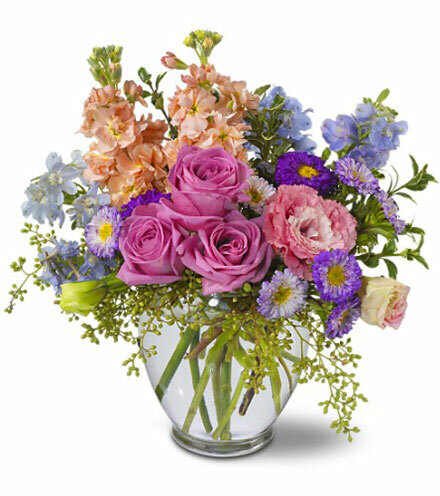 Our florists use only the freshest flowers available, so colors and varieties may vary.